This week has seen the death of Ray Bradbury, the victory of Scott Walker, and the depressing revelation that a three-bedroom house in Arch Cape, OR will cost you $459,000. It’s time for a list of good stuff, library-style. Please feel free to add more in the comments. 1. 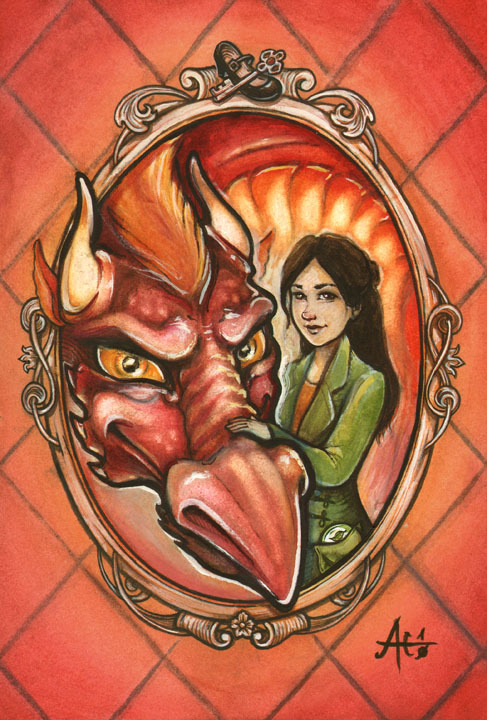 New York Times-bestselling novelist Catherynne Valente writes a beautiful love letter to libraries: We Are All Wyveraries. Hooray for wyverns! 2. The MLA will now allow authors who publish in its journals to retain their own copyright, post copies of their work to open access repositories, or on the open Web. Hooray for open access! 3. 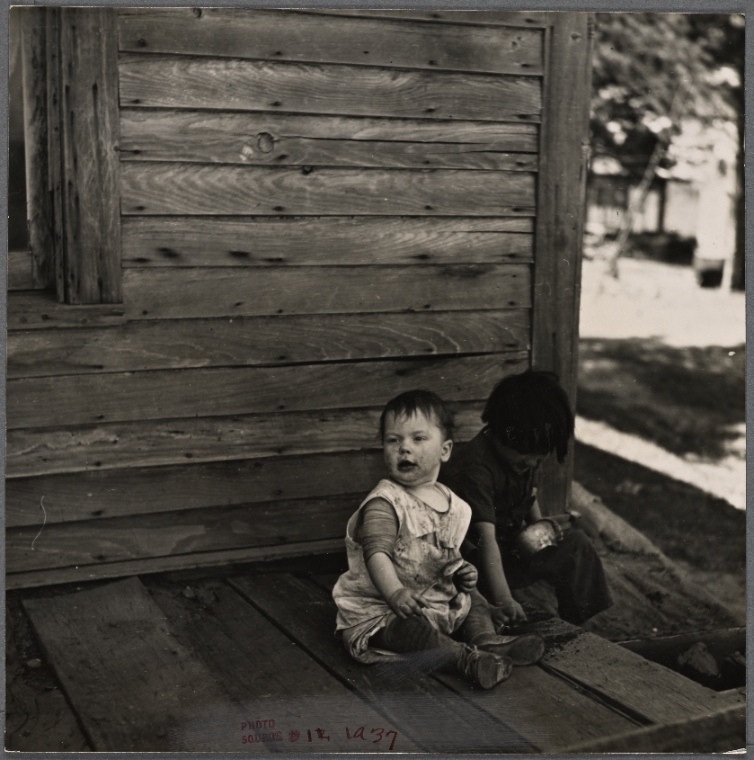 The New York Public Library recently cataloged and made available a huge historic collection of Farm Security Administration photographs–including works by Dorothea Lange and Walker Evans. Hooray for catalogers and free online access to these great images! 4. 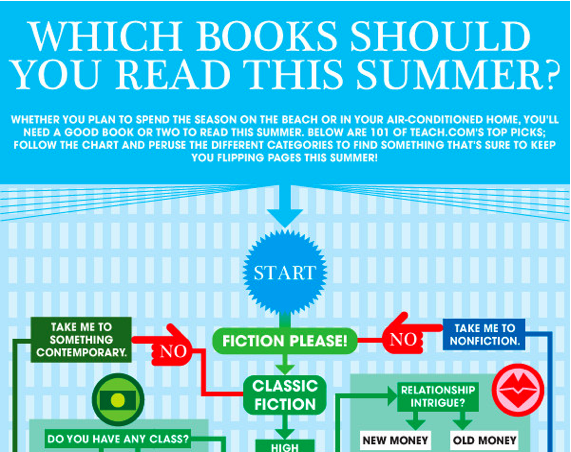 The folks at Teach.com made this awesome summer reading flowchart, perfect for printing and posting where everyone on earth will see it. Hooray for reading! 5. Durham County Library has made the code for their awesome single serving library hours site freely available. Now your library too can have a fun, elegant answer to the most-asked question ever. Hooray for simplicity! 6. In San Diego, libraries are actually expanding their hours, thanks to a budget surplus (!) and a mayor who sounds like he gets it. And Norwood Public Library in Norwood, NJ is getting some new space, thanks to donor funds. 7. 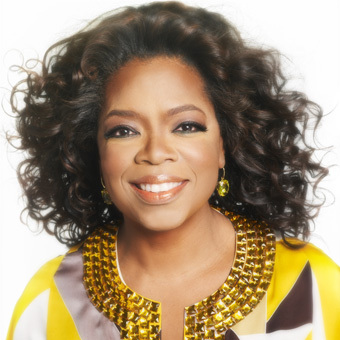 Oprah still believes in books. And the book she’s championing right now is a good one, made right here in Portland. (Read it at your local library.) Hooray for Oprah! I have a guest post up at In the Library with the Lead Pipe, on the concepts of resilience and sustainability for libraries. Many thanks to Eric Frierson for soliciting the post, and to Eric, Kim Leeder, and Nicholas Schiller for their review and edits. 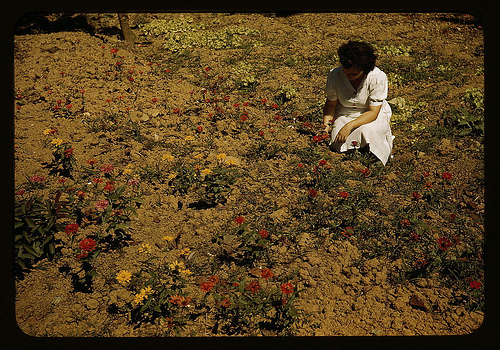 Image: Woman in her garden, Virgin Islands. Library of Congress. My academic library is in an area of Portland, OR that’s starting to transition. Many of our closest neighbors are missions, shelters, and other social services, and there are plenty of folks who sleep on the sidewalks and under the bridges. On the other hand, the library is in a beautifully restored 19th-century block of warehouses, along with the rest of the University of Oregon in Portland–and a handful of creative, financial, and other firms. Next door to us is the brand-new headquarters of Mercy Corps, a major international aid agency. And going in across the street is the Oregon College of Oriental Medicine, renovating yet another of the old neighborhood buildings. A little further down the street, an artist, writer, and activist named Laura Moulton has set up a project called Street Books, providing a free library service to people who live outside. With funding from Oregon’s Regional Arts and Culture Council, Laura’s repurposed a snazzy, vintage-looking delivery bicycle to hold about 50 books and a card catalog. She keeps regular hours–two shifts a week in two different locations–and checks her books out without due dates or home addresses required. She gets them back, too. Reading a little about the project on Laura’s site, and passing by her setup as she’s working, has made me reflect a little on some of the most basic values that underlie what we do in all libraries. Here’s the CLA’s list of “Our Values.” I like the first one in particular. We believe that libraries and the principles of intellectual freedom and free universal access to information are key components of an open and democratic society. Diversity is a major strength of our Association. An informed and knowledgeable membership is central in achieving library and information policy goals. Effective advocacy is based upon understanding the social, cultural, political and historical contexts in which libraries and information services function. Laura’s project walks the talk–whether you call it art or librarianship, or something else completely. I’ll be trying to take a little of her style and substance into the work I do in my library. Maybe you can too? Cross-posted at Re: Generations, a blog for Canadian academic librarians. It’s been a controversial week or two for academic libraries–at least in the American blogosphere. Here in Oregon, Mount Hood Community College just pink-slipped all three of its full-time faculty librarians, in the midst of a budget crisis and possible faculty strike. Elsewhere, McMaster University’s chief librarian, Jeff Trzeciak, gave a presentation at Penn State that suggested he won’t be hiring many librarians in future. Instead, he’ll be looking for people with subject PhDs and technology training–and will be taking librarians out of undergraduate classrooms and supervisory positions, to focus their attention on faculty research consultations. This has ruffled some feathers in lots of places. These two things raise important issues with immediate implications for our profession (and in some cases, our livelihoods.) They bear your consideration–you librarians, you library students. This is our shared corner of the world, and there’s no question that it’s changing around us. I think we can agree that we aren’t served by nostalgizing our bygone professional past — maintaining that because once we learned library penmanship and catalog card stitching and print index consultation, that we must continue to learn and teach and do those things Of course not, right? No one would suggest such a thing. The world has changed. We don’t have any of that stuff anymore. But neither is it useful to nostalgize our immediate professional past — to maintain that because academic librarians have for many years served at reference desks, that we must continue to do so in the same way. Or that because we’ve taught one-shot research methods classes for years, that we should continue to do so, absent a demonstrated need. That might be a little harder to swallow, because those things are closer to where we live now. Many of us started out in jobs that included those kinds of responsibilities, and many of our jobs still do include them. That’s fine if our institutions work that way–if we have a busy reference desk and instructors asking for us to teach. In many places, we do. In those places, the model of the immediate professional past is still working fine. It’s the model of the professional present, and probably the model of the future, at least for a while. In other places that model is faltering, because the traffic at our reference desk is slowing down or instructors aren’t asking for our help, or some other factor is affecting how we do our business. Those are the places where our future is really starting to blossom. That’s where we need our leaders to think carefully and humanely about the best disbursement of the vast financial, social, and intellectual investment we’ve made in our libraries over the last hundred years or so. I respect Jeff Trzeciak’s spirit of innovation, and his willingness to dig in and do the hard work of changing academic libraries. I don’t entirely share his vision — at least, what I know of it. I don’t know what to say about the situation at Mount Hood Community College, because I don’t know the behind-the-scenes, but I can hardly imagine a scenario that justifies the sudden firing of an entire professional library staff. 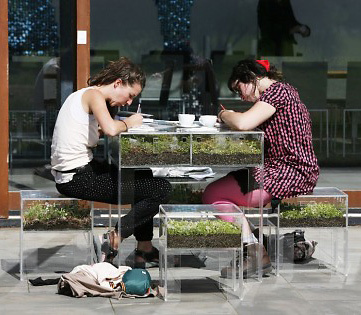 I do think we’re becoming a more digital institution, in a more digital society. I don’t think we should cut people loose (students, staff, or faculty) on the way to getting there. I think major upheavals take their toll on organizations–on morale, productivity, even direction. I think sometimes, in some ways, they’re still warranted. I think they should be balanced with a plan for more gradual change that takes into account human nature and the persistence of habits and ideas — our own and our patrons’. I think that’s what we might call wisdom, and it balances what we might call energy. I think change will look different in every library, and that’s a good thing. A diverse ecosystem is a healthy, resilient ecosystem. I think the future of our profession, and of the informed and responsible citizenry it supports, is literally in our hands. I think we should be paying attention and talking to each other, across all barriers and divides. What do you think? Jennifer found this great example of cool, innovative design using ultra-modern materials. I love the spirit of experimentation and adventure here. From Cool Hunting, here. I really like the idea of repurposing materials/objects, but often find the finish project is too thrown together and distracting. 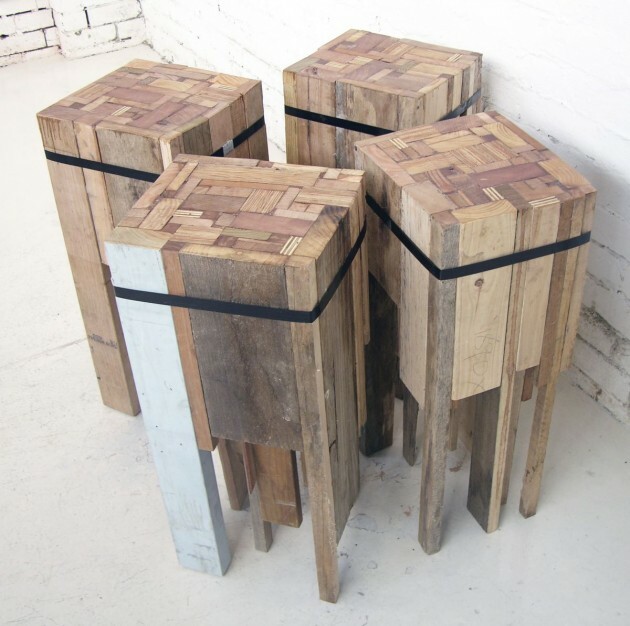 I really like these stools –there is something sleek and simple about the design. 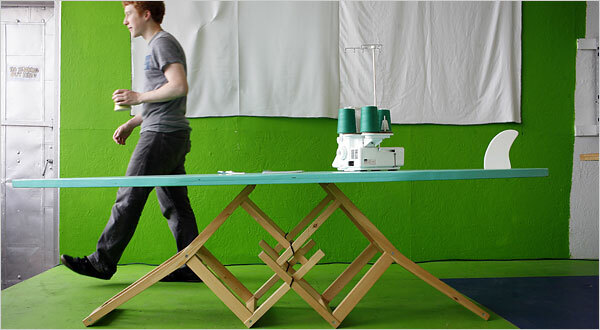 I came across the stool on the Unconsumption blog (all about reusing items). More about the stools here. And, from IKEA and The New York Times (by way of some talented furniture hackers), some clever and inspiring repurposing of existing designs. We’re definitely thinking along the same lines here–Jennifer found this image and sent it to me the same day I was on the delightful IKEA Hacker blog, trolling for ways to reuse trays, shelves, and racks. And last but not least, Jennifer hand-picked a Nikki McClure image that combines the strong graphic line, beautiful hand-crafted appeal, and overall DIY/PNW vibe of our ideal. If only we could create something so beautiful! Maybe a vinyl cut for the side of the cart, or a very talented addition to our poster? 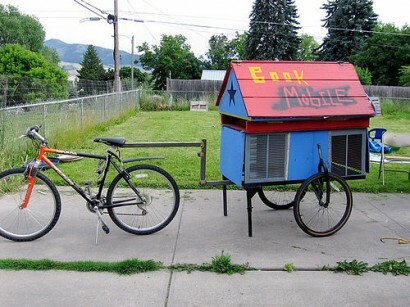 Tillamook County, OR still has a bookmobile. I think this is the only time I’ve ever looked at the comments on an article in The Oregonian and not seen anything nasty. 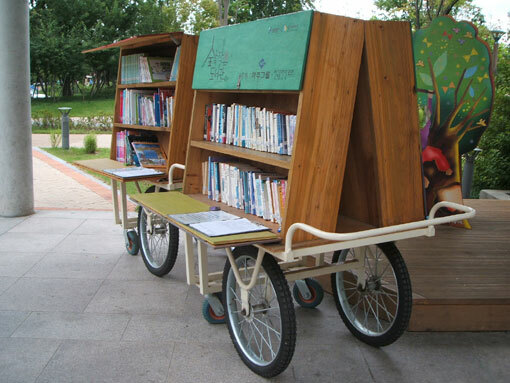 Wouldn’t it be amazing if every town had a bookmobile? Not just the ones without libraries, but every one? To deliver books to seniors and daycares and other house-bound or otherwise indisposed folks? Isn’t it interesting how when you make books available–especially if you curate them, treat them right, show them off, make them special–people read?